Sign up for our annual Gift subscription for your friend, loved one or special person to receive a little piece of sunshine (in the form of a Happy Newspaper!) through their letterbox four times a year. By adding this item to your basket and completing your order you are agreeing to our terms and conditions. Please ensure you have read these before completing your order. 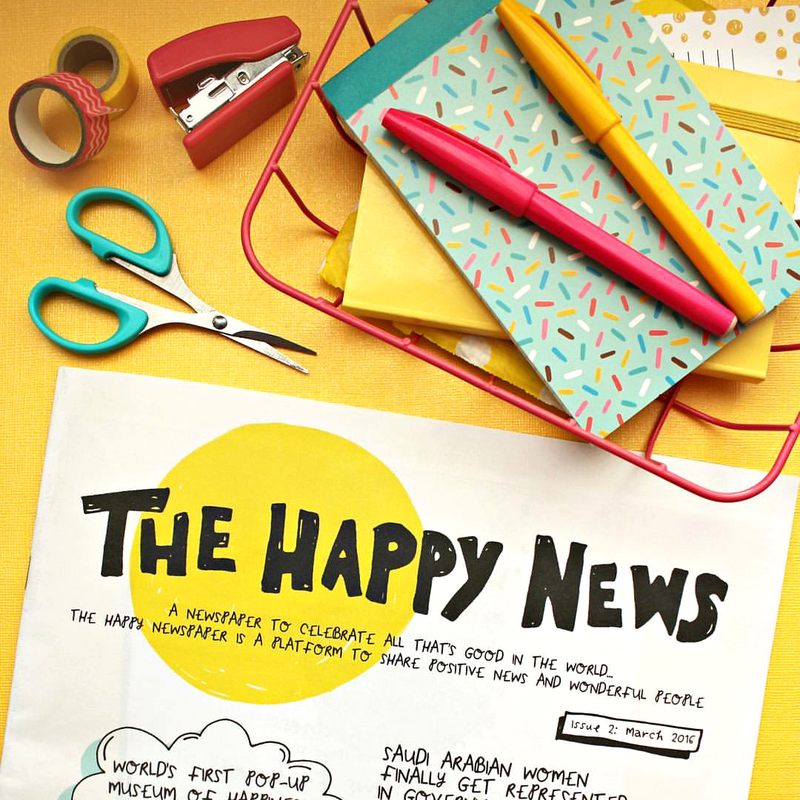 The Gift Subscription is for four issues, one per quarter for 12 months, of The Happy Newspaper. A small generic gift card will be included with your recipient’s first order. We have ‘cut-off’dates for each issue and these are detailed in the full product description below. Please note we only post once each quarter so please do bear that in mind when ordering for birthdays and Christmas! This subscription will NOT renew and will automatically cancel after 12 months and you will need to sign up again if you wish the recipient to continue to receive gift copies from you. Your recipient will be be sent a reminder with their final issue that their gift subscription is ending. This subscription is for GIFT subscriptions only. Please do not address a Gift Subscription to yourself. If you would like the first copy sending to you, please pop the recipients name in the Shipping, then email us after you place the order. If you’re signing up for a friend, loved one or simply to donate a subscription to one of your favourite people, you can now sign up for an annual Gift Subscription. The gift recipient will receive a little piece of sunshine (in the form of a Happy Newspaper!) through their letterbox four times a year. 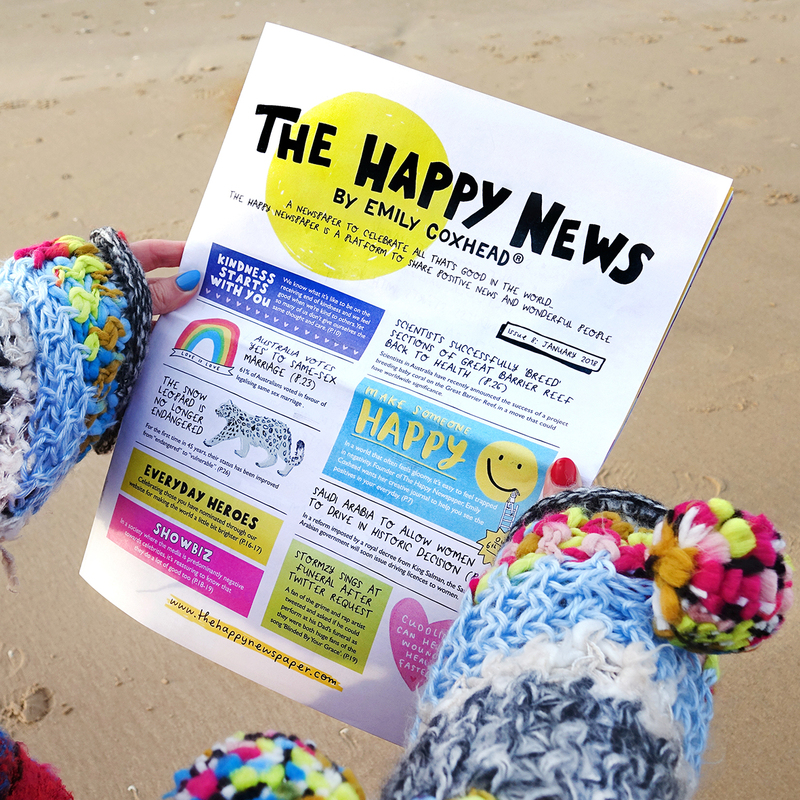 Once you have subscribed, they will receive the NEXT edition of The Happy Newspaper, and then 3 more across a whole year! By adding this item to your basket and completing your order you are agreeing to our terms and conditions. Please ensure you have read these before completing your order. Please see our FAQ for any questions or queries you may have. Issue 13 – all subscriptions ordered after Nov 26 2018 and before Feb 25 2019 will start with Issue 13, March 2019. Issue 14 – all subscriptions ordered after Feb 25 2019 and before May 25 2019 will start with Issue 14, June 2019. Issue 15 – all subscriptions ordered after May 25 2019 and before August 25 2019 will start with Issue 15, Sept 2019. Issue 16 – all subscriptions ordered after August 25 2019 and before November 26 2019 will start with Issue 16, December 2019. Issue 17 – all subscriptions ordered after Nov 26 2019 and before Feb 25 2020 will start with Issue 17, March 2020. Please note we only post ONCE each quarter so bear that in mind when ordering for birthdays and Christmas! 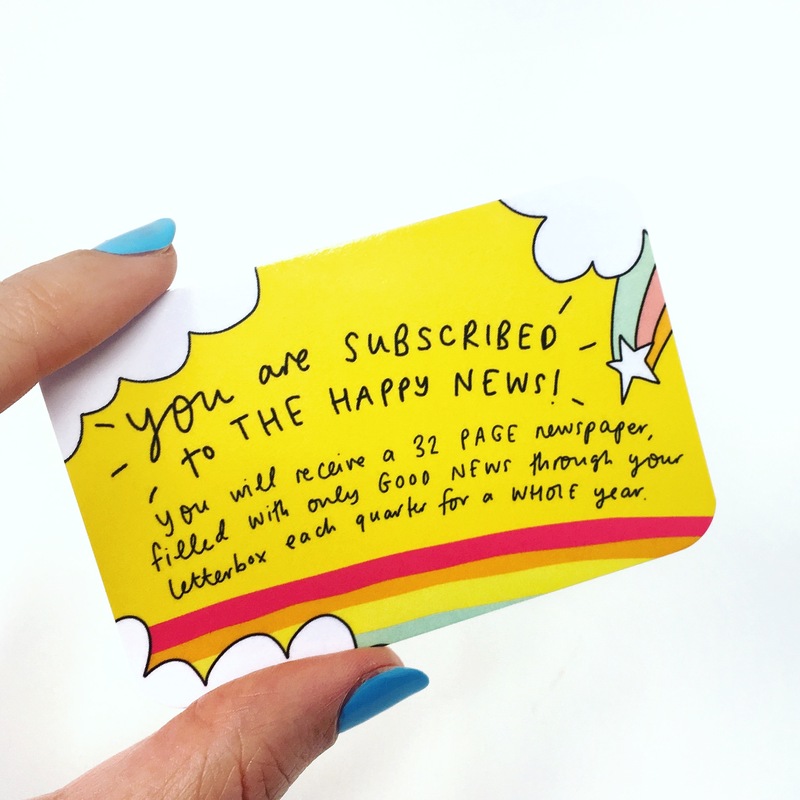 – The Gift Subscription is for four issues, one per quarter for 12 months, of The Happy Newspaper. A small generic gift card will be included with your recipient’s first order. – This subscription will not renew and will automatically cancel after 12 months and you will need to sign up again if you wish the recipient to continue to receive gift copies from you. You will be be sent a reminder in the final quarter that your gift subscription is ending. – This subscription is for GIFT subscriptions only. Please do not address a Gift Subscription to yourself. If you would like the first copy sending to you, please pop the recipients name in the Shipping, then email us after you place the order.